After more than six known failed relationships, Dangerous Woman singer Ariana Grande reportedly retired from dating life. Sad news for anyone who thought there existed a chance to become the next Ariana Grande love partner. Because guess what? 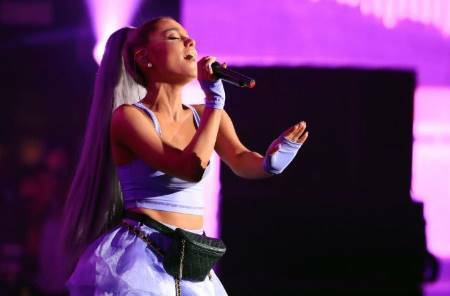 The Into You hitmaker American singer Ariana who recently canceled her Las Vegas show due to health issue reportedly decided to retire from her dating life. And we totally ally with her on this. The singer who currently claims herself single last dated Comedian Pete Davidson. Moreover, rumors caught fire after she was recently spotted with another fellow ex-boyfriend Ricky Alvarez. "can they tell me too ?" "spoiler for the rest of this year / probably my life: it’s no one. please refer back to this tweet for future questions." So, that's it, guys. If Ariana is staying single this year, then we are staying single too. And to thank u, next, Miss Grande is set to become the youngest artist to headline this year in Coachella that dates from 12th April. Ariana will be performing at the music festival as the main artist. As a matter of fact, her fans already started calling the whole show as Arichella. "Okay i saw the lineup for Coachella this year.... I NEED TO GO BUT IM TOO POOR!!! someone wants to buy them for me and invite me! ARIANA GRANDE IS HEADLINING!!!!" The current number one female singer previously broke off her engagement with fiance Pete Davidson. Before breaking off with her fiance Pete, she dated Rapper Mac Miller, dancer Ricky Alvarez, The Wanted singer Nathan Sykes, rapper Big Sean and youtuber Jai Brooks from The Janoskians. Nicki Minaj Shows Some Love to Ariana Grande in Her New Song "Bust Down Barbiana"